Damian Lillard and the Blazers pull off a big win over a Warriors squad missing DeMarcus Cousins, Shaun Livingston and Andre Iguodala. 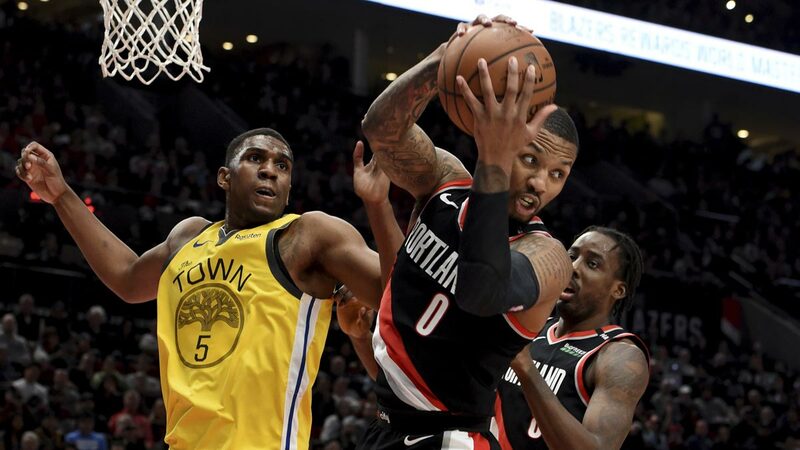 PORTLAND, Oregon — Damian Lillard scored 29 points and the Portland Trail Blazers snapped Golden State's five-game winning streak with a chippy 129-107 victory on Wednesday night (Thursday, Manila time) that included the late ejection of Warriors coach Steve Kerr. Blazers coach Terry Stotts said Kanter will join the team for the Jan. 21 game against Brooklyn following the All-Star break. Kanter will back up starter Jusuf Nurkic. The first half was close — Portland held a slim 64-61 lead at the break — and it stayed close in the third quarter. Looney's basket tied it at 75 with just under nine minutes to go in the period.